BEDFORD, N.Y. -- Businesswoman and television personality Martha Stewart, who lives in Bedford, is apparently no fan of her neighbor, President Donald Trump. 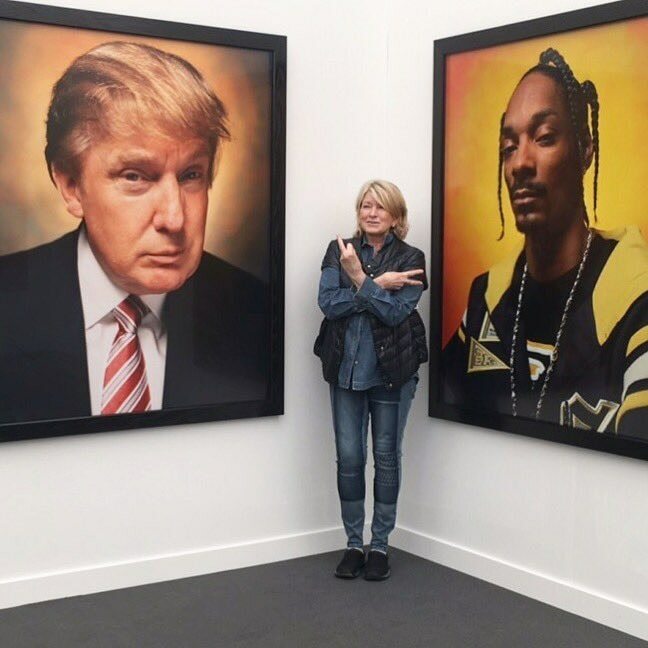 At the Frieze Art Fair in New York, a photo was taken of Stewart giving the middle finger to a photo of Trump, who also has a home in Bedford. The photo went viral but the Twitter account that posted it has been set to private.